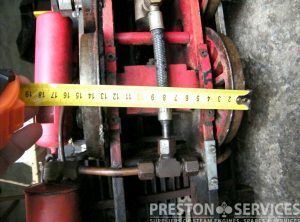 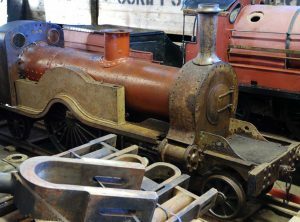 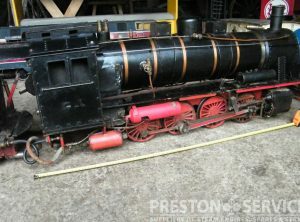 A 7¼” gauge Shay “Silver City”, in excellent working order, for sale with current boiler certificates. 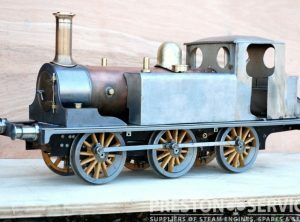 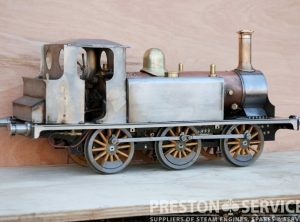 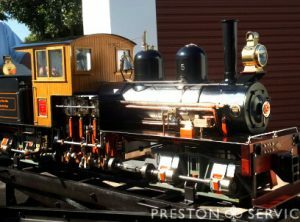 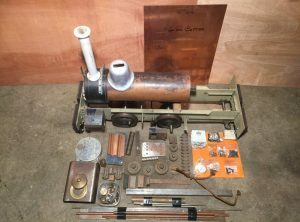 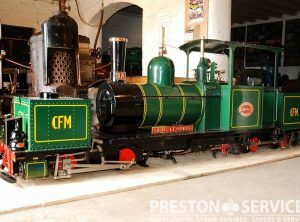 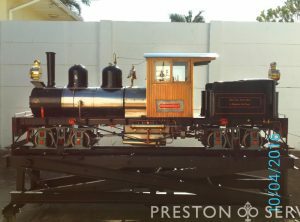 3 1/2″ gauge live steam locomotive (spirit fired), replica of Stephensons “Rocket”, complete with tender and 25 Ft of track. 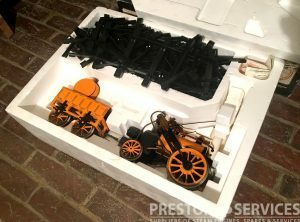 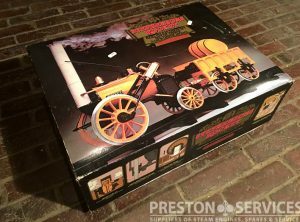 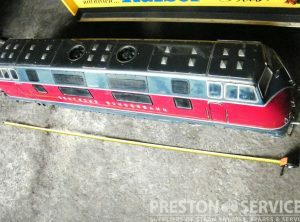 A complete train set in original box. 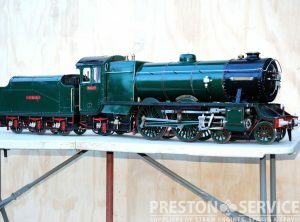 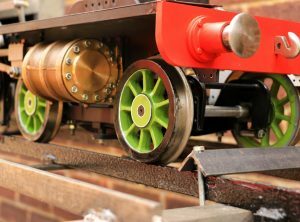 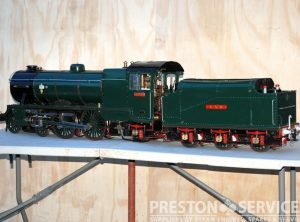 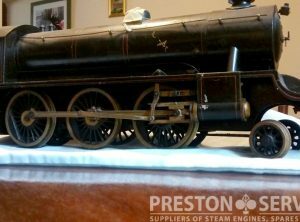 Built from parts by Zimmermann garden railways in Germany, this high quality miniature loco is based on the classic Prussian G8 loco of 1913. 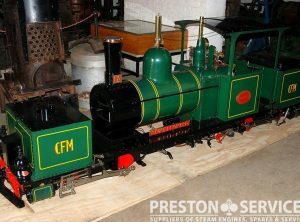 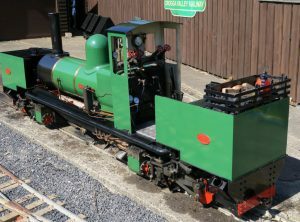 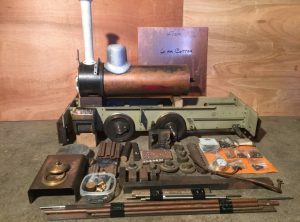 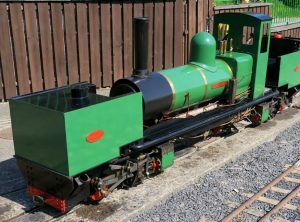 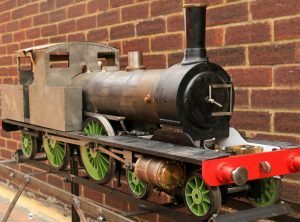 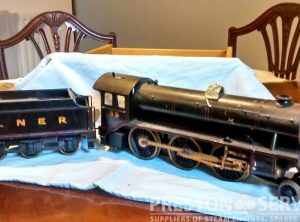 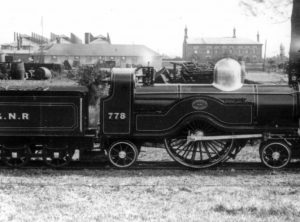 It features a coal-fired copper boiler, a well detailed footplate, drum braking to loco and tender, and coal and water tender with padded seat.